My wife, Marecho, is visiting the Philippines and I miss her a lot. Its to be expected. Its been a hell of a ten days since she left. Our dog Dazey was in a lot of pain and having trouble breathing Tuesday due to some extremely swollen lymph nodes in her throat. Once again the good vets at Pine Street Animal Hospital saved her fuzzy rump. 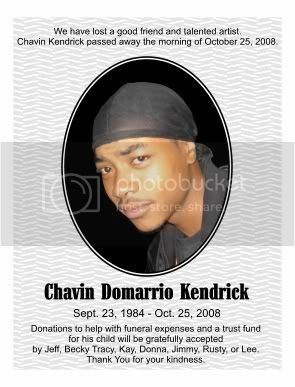 Saturday I received a phone call letting me know that my friend, Chavin Kendrick, had been shot and killed in a club in Gastonia, North Carolina. Donations will be accepted at any Ink Link Tattoos (NC), Tattooing U (Charlotte, NC), Belmont Tattoo Studio (Belmont, NC), and Tattoo Wearhouse (Spartanburg, SC). 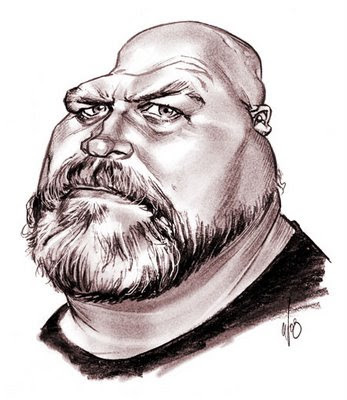 I am trying to get ready for the 2009 National Caricaturist Network's Annual Convention in Raleigh and keep running into unexpected expenses to slim down my already thin budget, piddly car troubles, kidney stones, and other not so peachy surprises. Fortunately, unless God really hates me, I'll still make it okay! 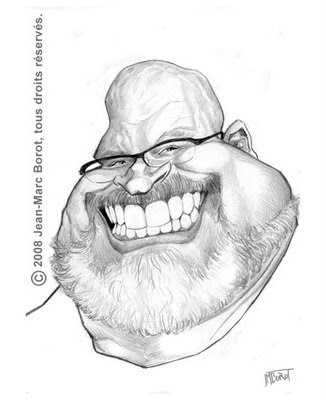 I am looking forward to meeting so many great people and inspirational artists/caricaturists. There will be folks from all over the USA, Japan, England, Ireland, Belgium, China, Australia, the Netherlands, and who knows where else! I am quite jazzed about the whole thing. Regrettably, not all of the fantastic NCNers from the Forum can make it and many will be sorely missed. I'll be posting a lot of pictures after the Convention. Check back soon! 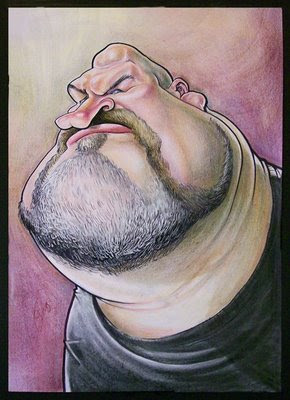 A few great caricatures of me! 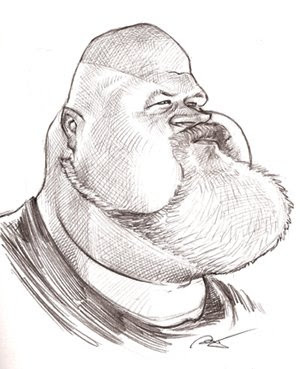 Everyone loves a caricature. These are some of my recent favorites done of me so far by some exceptionally talented folks! 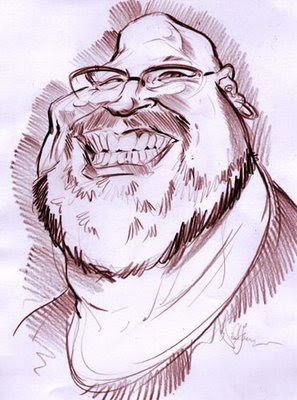 I am going to the National Caricaturist Network's Annual Convention in Raleigh, North Carolina during the first week of November. I am SOOOO excited too!